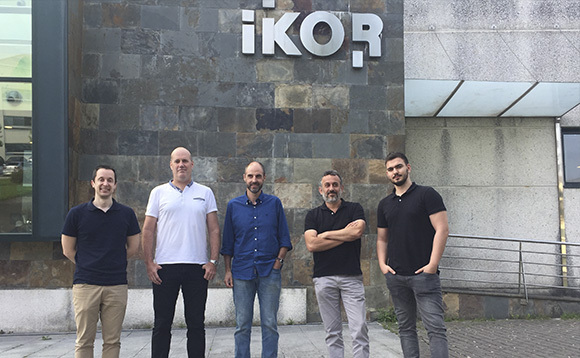 IKOR have been collaborating with the Tecnun School of Engineers at the University of Navarre and CEIT-Ik4 for several years in lines of research where the three institutions have common interests. These lines of research are focused on studying the feasibility of introducing new functional materials into the world of electronics, using additive manufacturing technologies or 3D printing. The most promising functional material with which we have worked has electrical conductive properties and allows a very desirable flexibility in the design of the test benches that we use in IKOR to test the manufactured electronic boards. One of the first prototypes developed in this collaboration was a demonstrator to connect two electronic boards.Unlike a more conventional demonstrator, where the boards would be connected using copper wiring, in the prototype that has been developed the connection between the boards is made by carbon-based conductor tracks deposited by extrusion additive manufacturing equipment. In this way, the number of prototype components is reduced by replacing the wiring with conductor tracks incorporated in the enclosure of the demonstrator itself. The geometry of the tracks and also the parameters for the deposition of the conductive material are optimised based on the studies previously carried out in order to minimise the resistivity of the conductor tracks. However, this collaboration has also extended to other functional materials, such as ferromagnetic or flexible materials, and the competitive advantages that these can bring to IKOR’s daily operations are also being explored. Within this collaboration, IKOR is currently leading the Fantasia Project, a competitive project which was successful in the Elkartek 2018 call for proposals from the Basque Government, and which has Tecnun, CEIT-IK4 and Vicomtech as partners. The main objective of the project is to investigate and study integrated intelligence processes in parts made by additive manufacturing combining polymeric and conductive materials. This research includes the development of characterisation and simulation algorithms for the printed parts in order to optimise the designs according to the main parameters: type of material, conductor trace geometry, and the additive manufacturing process parameters. The project also involves work on a vision system for quality control of printing. This project will provide IKOR with flexibility in the manufacture of tools and frames for electronic components that will reduce the time to market of the electronic equipment that the company develops.